Join us for an evening of entertainment, signature cocktails and passed hors d’oeuvres at this one of a kind location. We will be honoring Joe Chase for his year as Chair and welcoming Keith Spina as the incoming Chairman of the Board. 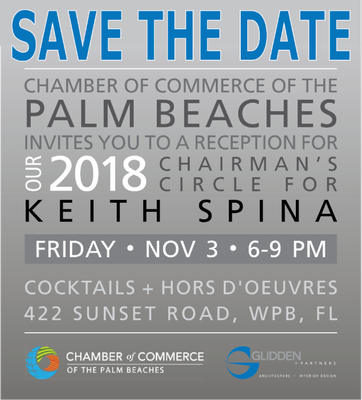 Be sure to stop by the silent auction table in support of the Chamber of Commerce of the Palm Beaches 2018 initiatives.